Where there is a market, there are competition, racing and opportunity. Your market is the place which Sheenstar is responsible for protecting. With its own strength, Sheenstar has witnessed the customer growth with products. 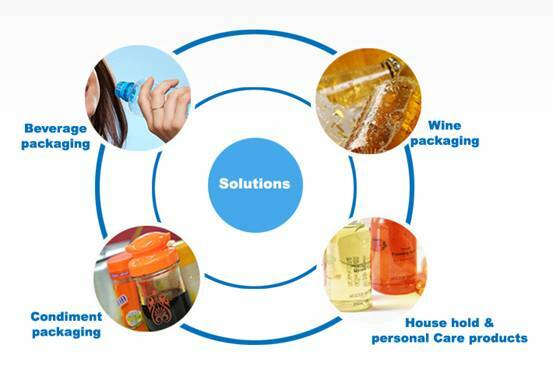 We provides well-customized packaging solutions for liquid products such as beverage (water, tea/juice, CSD, liquid milk), wine, condiment and household & personal care products. Beer, grape wine, rice wine and liquor wine means everlasting and leaves one wondering. On packaging, from bottle type design, manufacturing, installation and commissioning to acceptance and putting into production, Sheenstar has developed rich professional technologies to help you gain the best efficiency and productivity. For the cooking oil filling, Sheenstar adopts weighing type filling method for the first time to meet the needs of the filling accuracy and improve production efficiency to respond to market changes rapidly. Project proposal is flexible and the corresponding models are equipped according to the floor plan and production speed. The packaging of liquid products such as laundry detergent and cleanser essence is meticulous, considerable and the viscosity is controlled. Sheenstar customizes the packaging containers with individual character and ensures the tightness and integrity of the filling of liquid products. Good quality, first-class manufacturing. Sheenstar and bottlers expand the market together to improve the double benefits.